Blue Derby Pods Ride | Tasmanian Tourism Awards 2018 Silver Winner! We are proud to announce that we have been awarded Silver for Adventure Tourism at the Tasmanian Tourism Awards! 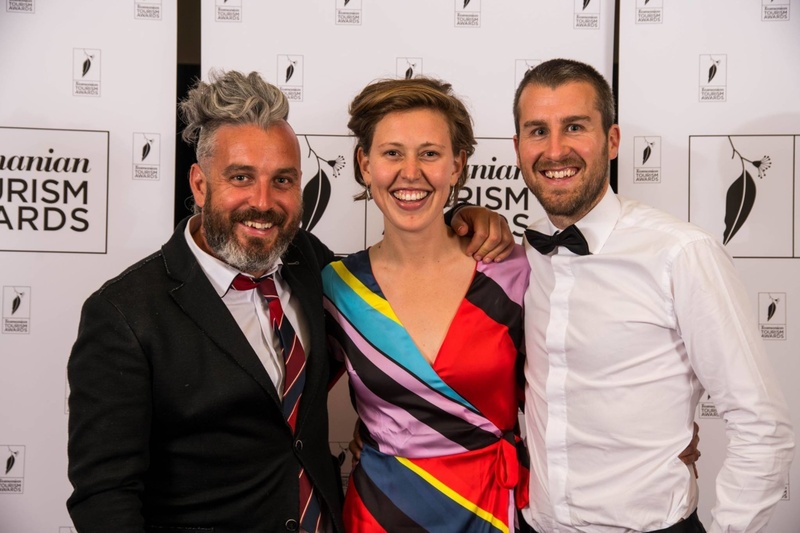 On November 9th the annual Tasmanian Tourism Awards gala dinner was held at Wrest Point Casino in Hobart. We were listed as finalists for the Adventure Tourism category and were lucky enough to take home silver on the night! We would like to say a huge thanks to the amazing team who make every trip so special and of course all the gorgeous guests who continue to support and join us in finding flow during our Experience. We would also like to pass on a huge congratulations to Roaring 40s Kayaking for taking out Gold and to Wild Pedder for winning bronze. Bring on another year of adventure and exploration hey?